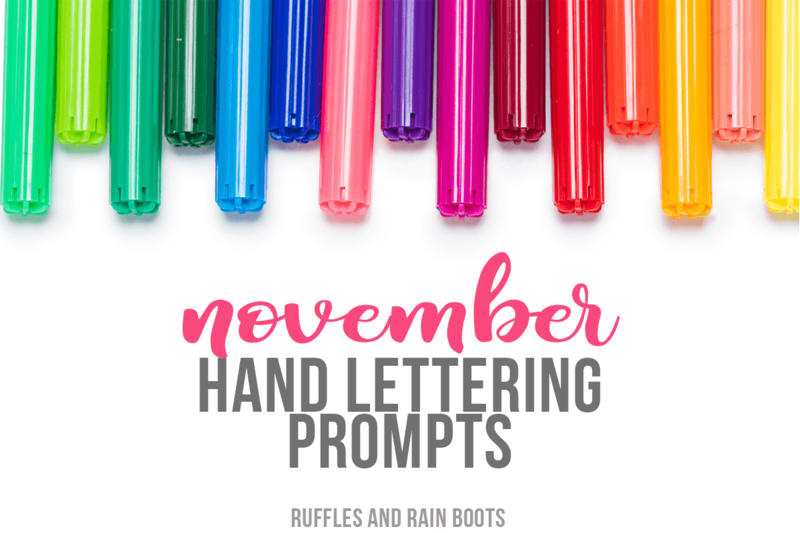 Download these free November hand letter practice sheets and prompts. 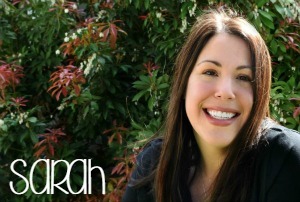 Work on brush lettering, bounce lettering, and modern calligraphy styles! We’re in the throes of Fall here in the Pacific Northwest. As I write this, I’m working with two bandaged thumbs because I wanted to do something nice for my husband. He’s responsible for the yard but today, I wanted to do something nice and rake the oak leaves. 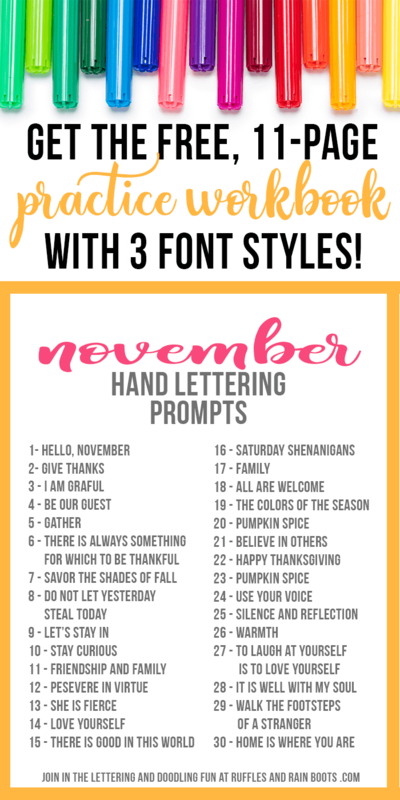 But it’s time for some more free hand lettering sheets, so that puts a smile on my face! Print the prompts and practice sheets out and gather a couple of items to really get the most out of your practice session. Note that these are large pen alphabets this month but I practice them with both pens. If you are subscribed to our newsletter, you already have the password (it’s at the bottom of every email I send). Grab that password and get the November Workbook here. 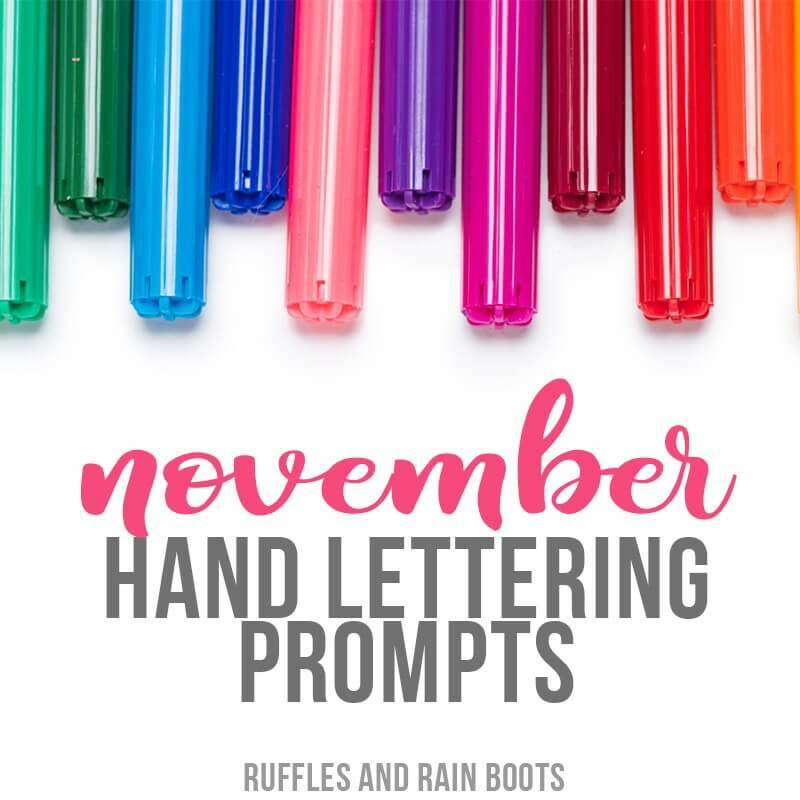 RELATED READING: Unicorn Hand Lettering – Let’s Make Practice Fun!